Welcome to London Driving Schools in Wandsworth. Are you a Wandsworth resident? 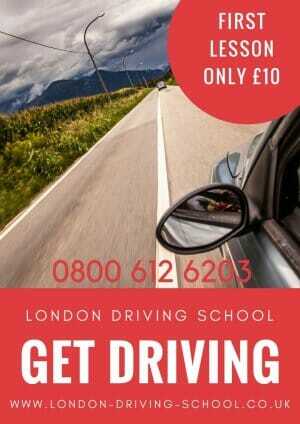 Or want to learn drive near Wandsworth? London Driving Schools provides quality driving lessons in Wandsworth with our DVSA qualified driving instructors who are well experienced in giving quality driving lessons. Our driving instructor in Wandsworth rely on driving courses designed in a way that ensures students learn the best driving skills quickly and safely. Your success is our primary goal. Your learning journey with our Driving Schools in Wandsworth starts on quiet back roads of Wandsworth in order to increase the confidence levels of the learner driver with steering and basic clutch controls. After making sure that you are fully confident with the basics, your driving lessons will then shift on to the relatively busier roads of Wandsworth. This will give you the test and experience of different road conditions and situations. Our DVSA certified driving instructors in Wandsworth suggest the below mentioned route to increase the effectiveness of your learning. Begin on St Ann´s Hill driving away from Wandsworth High Street. At the end of the road, turn left onto Allfarthing Lane and then take the third left onto St. Ann Crescent and follow the road around. Take the third right on to Rosehill Road and drive until reaching the end of the road. From here turn right which will bring you onto Geraldine Road. At the end of this road turn right again onto All Farthing Lane and then take the next right back onto St Ann´s Crescent. Continue along this road until the junction at the end and then left back onto St Ann´s Hill. Here are some great Driving Test Tips for learner drivers in Wandsworth. With our driving instructors in Wandsworth you do not need to worry about your driving test. LDS will make you sure you are fully practiced and experienced on all the roads that your test will be taken on. Ensuring you know them thoroughly and have sampled the different hazards and obstacles that you may face on the day of your driving test. Our friendly driving instructors in Wandsworth can provide the right advice and information to students who are confused or unsure on selecting the right driving course for them. More than 90% students at London Driving Schools Wandsworth pass their driving test in first attempt. We believe this is proof of our instructors ability and the overall quality of our driving lessons in Wandsworth. Quality driving lessons in Wandsworth. Why choose our driving schoools in Wandsworth? Friendly driving instructors and supportive learning environment. Thorough practice of driving lessons in Wandsworth. Taste of all types of road conditions during lessons. Why wait to enjoy the freedom of driving? 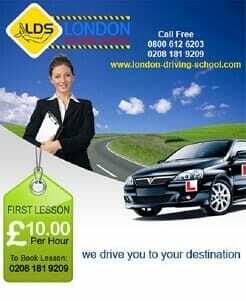 Join London Driving Schools in Wandsworth for quality lessons and courses that are within your budget. Refresher Driving Courses, ideal for those foreign drivers wanting to brush up on their driving skills in Wandsworth. Advanced Driving Courses, for those experienced drivers wanting to take their driving ability to the next level. Motorway Driving Courses for those in Wandsworth wanting to gain extra confidence in their motorway driving abilities. 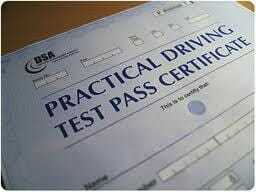 Pass Plus Driving Courses, to give you extra confidence once you have passed your driving test. Along with substantial insurance discounts. Click here to find out more about the driving courses in Wandsworth we offer. London Driving Schools in Wandsworth is the smart choice when choosing a great driving school in the local area. We can provide emergency driving test vehicle hire. If you need a vehicle to take your driving test in at short notice in Wandsworth give us a call. See our Top Driving Test Tips in Wandsworth. See also Top 10 reasons for not passing your driving test in Wandsworth. See our Testimonials to find out why you should be joining London Driving Schools in Wandsworth.